As a sociopolitical organization, over the past years, the Veterans Association of Vietnam has always brought into play its role in all aspects of social life, particularly in the work of mass propaganda and mobilization, while taking the lead in the implementation of the “all people protect national security” movement, greatly contributing to maintaining political security and social order nationwide. In the coming time, that spirit will continue to be promoted via practical, effective measures. The Veterans Association of Vietnam (the Association for short) was founded on December 6th, 1989. It now has 2,917,613 members and 16,462 branches nationwide. Members of the Association are endowed with qualities of “Uncle Ho’s Soldiers”, high credibility and responsibility, willpower, military discipline, skills and experience to fight against different types of crime; therefore, they are always mobilized to engage in crime prevention and combat and protection of national security by party committees and governments at all levels. Notably, since the Association and the Ministry of Public Security signed the Joint Resolution 01/1999/NQLT/BCA-HCCB on “coordination to mobilize the whole people to engage in the movement of all people protecting national security”, the role of Veterans has been increasingly heightened and clearly demonstrated in practice. They have themselves always led by example in the implementation of the movement, while actively persuading the people to prevent and fight against crime and protect national security, thereby contributing to protecting political security and social order, creating favourable condition for the cause of national building and defence. 1. The Association’s organizations at all levels have actively conducted the work of propaganda to make the people maintain vigilance against and fight to foil all schemes and artifices of hostile forces. In this regard, the Association has placed stress on rendering the people fully aware of the hostile forces’ “peaceful evolution” strategy and political and security situation in the area. With the motto “Entering every alley, knocking every door, inspecting every subject”, veteran propagandists have persuaded the people to successfully implement the movement of national security protection in the realms of prevention and control of crime and social evils as well as traffic order and safety maintenance. Implementing the Prime Minister’s Directive 06/CT-TTg on “promoting the role of credible persons among ethnic groups in the national construction and protection cause”, the Association’s organizations in cooperation with sectors and unions have brought into play the role of religious dignitaries, village patriarchs, heads of clans and credible people in encouraging the people observing the Party’s guideline, the State’s law and local regulations, actively combating types of crime, backward customs, social evils, and building new cultural life. Following the joint resolution, the Association has frequently exchanged information with the Public Security Force on the situation, hostile forces’ schemes and acts of sabotage, types of crime and social evils to set out timely, effective measures to fight against, particularly in remote, isolated areas and those inhabited by ethnic minorities. 2. The Association has actively taken part in the “national program for crime prevention and control” launched by the Government. Its organizations at all levels have proactively cooperated with forces to implement the Government’s Resolution 09/1998/NQ-CP on “stepping up crime prevention and control in the new situation” and the “national action plan for drug prevention and control”. Every member and family have led by example in complying with the State’s law and local regulations. The Association has established the “Steering Board for national security protection movement; crime prevention and control; AIDS, drug, prostitution prevention and control”. Yearly, its organizations at all levels have developed action plans and carried out review of this task. Great importance has attached to setting up and multiplying outstanding examples of regional particularity for propagation and study within the Association. In recent times, the Association has worked with the Voice of Vietnam to hold tens of workshops and exchanges related to prevention and control of crime and social evils as well as protection of national security in 63 provinces and cities. During its activities, there have appeared hundreds of typical models and examples in national security protection. In many provinces, there have been models “one plus one”, “one plus two”, “one plus three” in which each Association member persuades 1 or 2 or 3 next-door households to found groups for prevention and control of crime and social evils as well as protection of national security in the area. Most of the Association’s organizations have “group of information collection”, “security group”, “self-control group” and ask the Association’s members and their family to make a written commitment not to violate law or commit social evils. There have also appeared models of “security wooden bell” and “security gong” used as signals for complex situations. The Veterans Association of Long An province is the first one that has “group of information collection” and “team of Honda motorbike taxis for crime prevention and control” supporting functional agencies in prevention and control of crime and social evils. 3. Due attention has been paid to building typical examples in the “all people protect national security” movement and other movements and campaigns launched by the Party, State, Military and organizations. The Association’s organizations at all levels have counseled local party committees and authorities and closely worked with other organizations to set up typical models and examples in prevention and control of crime and social evils as well as traffic order and safety maintenance. At present, there are nearly 800 models of prevention and control of drug, prostitution, human trafficking, and traffic order and safety maintenance that are operating effectively. Many typical models and examples have been set up and developed in all areas, regions and aspects of social life. To ensure in-depth development and effectiveness of the national security protection movement, during the course of implementation, the Association’s organizations at all levels have always focused on combining the movement with other movements, such as “all people unite to build cultural life”, “building pure, strong Association, exemplary members, cultural families of members”, “exemplary veterans”, “promoting nature and tradition of Uncle Ho’s soldiers”, “building new rural area”, “hunger alleviation, poverty reduction”, “gratitude”, “residential areas without crime and social evils”, “safe offices, enterprises and schools”, and so forth. In localities, there have appeared unique, creative models. The Associations of Ben Tre and Quang Binh provinces have the model of “joint 4 pillars” (including veterans association, youth union, public security and military). 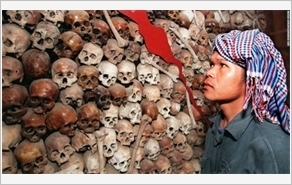 As for Quang Binh alone, there are models of “encircling tightly, arresting quickly” and 214 clubs of “drug-free hamlet”. The Association of Soc Trang province has the model of “converting offenders, taking care of street children and mobilizing the masses”. The Association of Hau Giang province has the model of “three cells” (including party cell, veterans cell, youth union cell) for converting offenders and maintaining security of residential areas. The Association of Thai Binh province has 375 clubs of drug prevention and control with 10,449 members in 128 communes, wards and townships. The Association of Hanoi city has over 100 clubs with more than 1,000 members taking part in management of people after detoxification. The Association of Binh Phuoc province has 114 clubs of “grandfather tells, grandchild listens” with 3,975 members, which aim to educate revolutionary and hometown tradition, patriotism and cultural lifestyle. Those are typical models of the veteran force nationwide in the “all people protect national security” movement which are run actively and effectively by the Association’s organizations at all levels. In the upcoming time, hostile forces will continue to accelerate their “peaceful evolution” strategy and acts of sabotage in various areas. The problem of crime and social order still witness complex developments. National security protection has been regarded as a central task of the whole Party, people and people’s armed forces. This is a fierce, complicated, enduring and hard-fought struggle requiring the heightened role of the Association and comprehensive strength of the whole political system and people. To this end, the Association’s organizations at all levels should place emphasis on the following tasks. First, it is necessary to step up the work of propagandizing and encouraging the Association’s members and the people to actively engage in the “all people protect national security” movement, prevention and control of crime and social evils as well as traffic order and safety maintenance; to maintain vigilance and fight against hostile forces’ “peaceful evolution” strategy and tricks of “self-evolution” and “self-transformation”; to prevent and repel degradation in ideology, politics, morality, lifestyle as well as “self-evolution” and “self-transformation” within the Association. Second, it is important to successfully implement the Resolution of the Party Central Committee’s 28th Plenum (11th tenure), dated October 25th 2013, on the Strategy to defend the Homeland in the new situation, the Politburo’s Directive 48-CT/TW, dated October 22nd 2010, on “strengthening the Party’s leadership over crime prevention and control in the new situation”, the Politburo’s Directive 21-CT/TW, dated March 26th 2008, on “continue to strengthen leadership and direction over drug prevention and control in the new situation”, and the Directive 09-CT/TW, dated December 1st 2011, by the Party Central Committee’s Secretariat on “strengthening the Party’s leadership over the all people protecting national security movement in the new situation”. Grounded in those documents, the Association should be proactive in directing and guiding its branches to closely work with unions and heighten their role and responsibility so as to promote the aggregate strength in fighting crime and maintaining political security and social order in the areas. 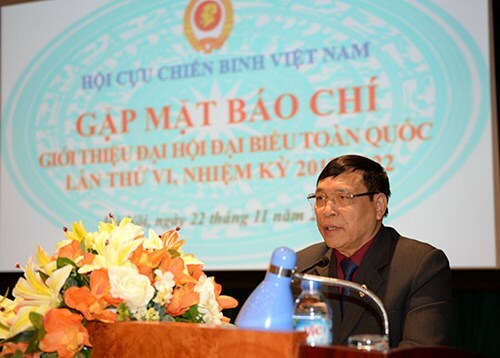 Third, it is essential to continue executing the “coordination program between the Ministry of Public Security and the Veterans Association of Vietnam for stepping up the work of encouraging the whole people to build the ‘all people protect national security’ movement in the new situation” (2014-2020 period) to bring into play the strength of each force during the process of implementation. With nature and tradition of “Uncle Ho’s Soldiers”, the Veterans Association of Vietnam will continue to approach its members and people for successfully executing the “all people protect national security” movement, while promoting the role and responsibility of its branches as the core force in crime prevention and control and maintenance of political security and social order to deserve the faith and affection of the Party, State and people.